Welcome To Platinum Services Perth. Specialising in Swimming Pool Energy Efficiency, We Can Cut your power bills down by using energy efficient pumps, Chlorinator's and Fresh Water swimming pool systems. 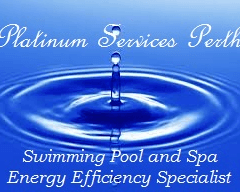 Save Time and Money with Platinum Services Perth. To Reduce the cost of Running Swimming Pools and Spa's by Using Energy Efficient Equipment, Products and Processes. In-turn Saving Money, Power, Energy,Water, Chemicals, Lowering green house emissions and reducing your carbon footprint.